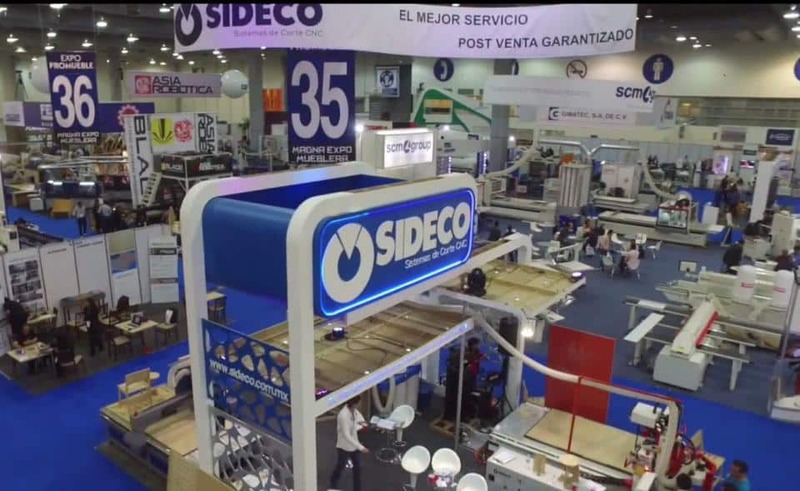 MEXICO CITY – Hundreds of exhibitors displaying CNC machinery, standard woodworking equipment and supplies for custom and production wood products manufacturing are expected to be on hand at the 23rd annual Magna ExpoMueblera. The international tradeshow and conference will be held Jan. 18 to 21 at the Centro Banamex exhibition center in Mexico City, Mexico. Other key display categories include panel products and veneer manufacturing; living room, kitchen and office furniture; and fabrics, upholstery materials and supplies.According to tradeshow organizer Deutsche Messe, the show is expected to host more than 300 exhibitors from 30 nations, and occupy 322,900 square feet of exhibit space. “Magna ExpoMueblera will provide a comprehensive overview of the latest furniture manufacturing technology and machines for workshop-based and mass production,” said Christian Pfeiffer, the director in charge of LIGNA & Woodworking Events at Deutsche Messe. This year marks the first time Magna ExpoMueblera is organized Deutsche Messe, which has a local subsidiary in Mexico. Participants with CNC machinery displays include: Felder; Homag, which is represented by Stiles Machinery; Biesse; SCM; Cehisa; and Centromaq. Leveraging new technologies to increase productivity will be the main focus of the supporting CNC conference program, said Deutsche Messe, and will cover the use of intelligent technologies to achieve integrated manufacturing across all links in the wood processing chain. “To illustrate this, the participating companies will profile the convergence and ongoing integration of the virtual and real worlds,” Pfeiffer said. “In terms of visitors, we are expecting furniture manufacturers, machinery and tool manufacturers, and representatives of the wood-based trades, the timber industry and the office equipment and furniture retail sectors. Which just goes to show that integrated manufacturing and Industry 4.0 affects all industries,” he added.